Let these scrapbooking facts save you from the heartache of seeing your photos and scrapbook albums deteriorate, due to being caught by some common scrapbooking hazards. Some simple preservation tips will go a long way in safeguarding those photos and scrapbooking layouts you’ve spent loads of time, efforts and money on. Remember the basic trick to storing photos and scrapbook albums is to keep them in cool, dry places. That’s the basic storage advice and it applies to scrapbooking. Read on and start putting these tips to work for you! Living in a country with extreme temperatures like heat and high humidity? These aren’t good for your scrapbook albums, photos, negatives, layouts and embellishments. Uncontrolled temperatures can damage your precious scrapbooking items. I know because I was shocked to discover that some of the brads on my layouts turned rusty! I realized that I live in a country with high humidity and it’s corrosive to my scrapbook albums. So please for your historical items, be extra careful with them and keep them in cool, dry places. Are you putting your scrapbook albums or photos under direct sunlight? Quickly remove them from the sunlight. Sunlight can be strong and cause fading to your photos, negatives, layouts and albums. Look for cool, dry place to store your scrapbook albums and photos. Want to include newspaper clippings into your scrapbook layouts? Newspapers are made of acidic material which can harm your photos. Make a photocopy of your newspaper clippings onto acid-free papers. So now you have the newspaper clippings in a safe format for scrapbooking. If you really want to use the original newspaper clippings then be sure to seal them with a de-acidifying spray, which make them safe for your scrapbook album. Are you assuming that all paper and cardstock bought from your scrapbook store are acid-free and lignin-free? Do not assume that unless it’s stated so on the packaging, items, or somewhere. 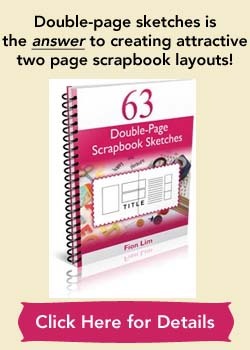 To keep your scrapbook layouts and photos lasting, buy acid-free and lignin-free paper and cardstock. Do you know that your fingerprints can be damaging to photos? Before working on a layout, please keep your hands clean. Oils from your skin can leave imprints on photos that will become apparent over time. One way is to handle the photos by holding onto their edges. Love using metal or acidic items for scrapbooking? Then you might want to consider using photo duplicates rather than your original photos. So if corrosion or damage happen, you still have your original photos on hand. Safeguard your originals. Using lumpy objects on your layout? Check to see if these objects are rubbing badly onto the facing layout. You might want to make sure that it’s not rubbing onto some precious photos. Use duplicate photos because if you are using original photos, the constant rubbing will harm your photos. Alternatively, choose a facing layout where the constant friction is on the less important parts of the facing layout. Enjoy having a drink on your scrapping desk? Prevent disasters as liquids can destroy your precious photos, negatives, layouts and scrapbook albums. Keep your scrapbook albums and photos away from all liquids and store them away in cool, dry places. While working on a layout, remember to keep your drink far away from your scrapping desk. Are you aware that there’s unstable plastics that can be destructive to your photos and memorabilia? Avoid buying page protectors containing polyvinyl chloride (PVC) and polyvinyl acetate (PVA). You can identify PVC by its strong plastic smell. PVC is unstable plastic and might be corrosive over time. Instead look out for sheet protectors, photo corners, binders and such that contain the more stable polyester (polyethylene and polypropylene) to ensure safe storage of your scrapbook memorabilia. Unsure about the acidity of an item and want to check it out before using it on your layout? A PH pen will come in handy. 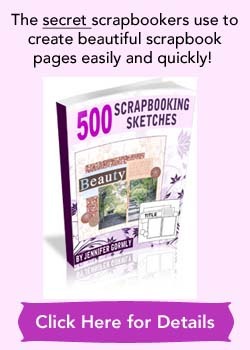 I hope that these scrapbooking facts will put you in a better position for preserving your photos and scrapbook albums. You deserve to have them with you for many years after spending so much time and effort on them! This is a really good website for reference especially since I’m doing scrap booking for 4h this year.